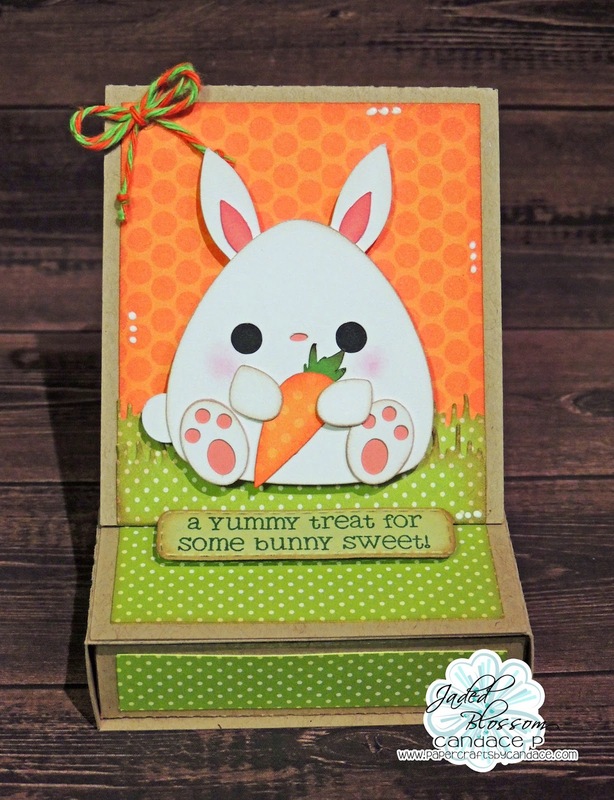 Paper Crafts by Candace: Jaded Blossom Monthly Challenge: Easter! Jaded Blossom Monthly Challenge: Easter! Happy Sunday! Today is Jaded Blossom Monthly Challenge day! This months challenge is EASTER!! Anything Easter!! 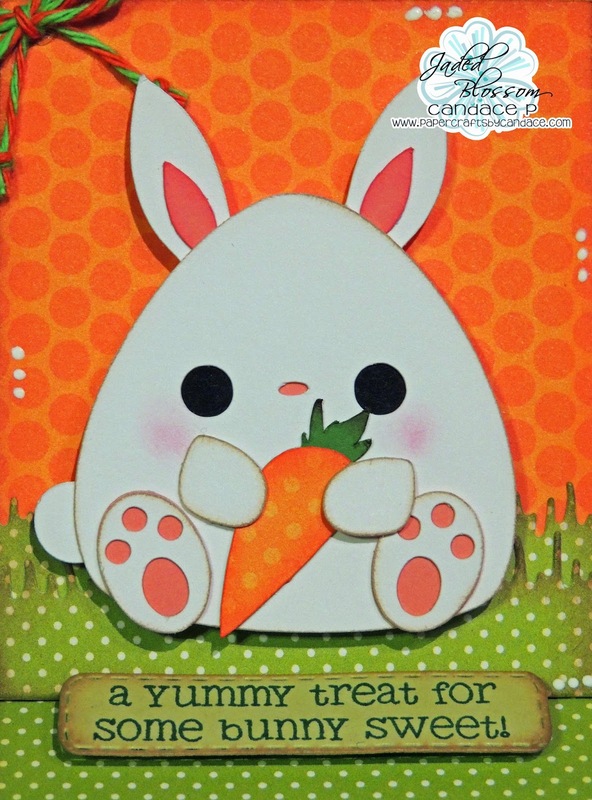 And isnt this bunny the CUTEST?! Its also from SVG Cutting Files! And behind him is grass from Jaded Blossom's Spring Dies. And heres a look inside the box! All kinds of treats fit in here, I put some chocolate carrots inside but hershey nuggets and kisses also fit! Thanks for checking out my project today! Make sure to head over to Jaded Blossom to see what the rest of the team created! This is so dang cute! 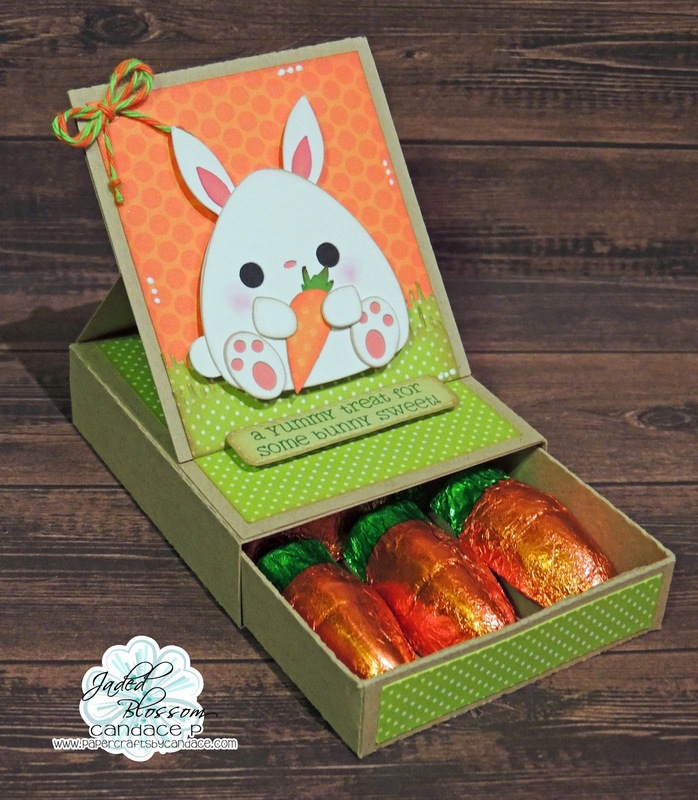 The rabbit is adorable and the box design is awesome! its tooo adorable !!! love it ! This is so cute! I love this new box style! 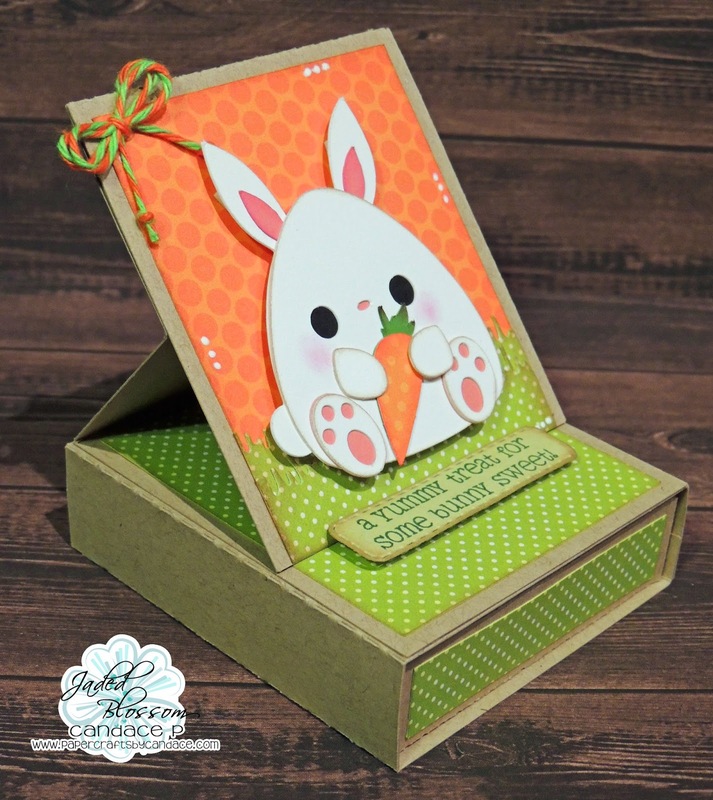 This is just the cutest and I just love that card box you used. Love this! That bunny is so cute! LOVE your choice of paper..mind me asking what you used? Jaded Blossom Stamp Release day 4! Jaded Blossom Stamp Release day 2! Jaded Blossom Stamp Release, day 1! Let's Stick Together! Facebook Sticker Hop! Game of Thrones Blog Hop! !